CHICAGO, IL, October 05, 2018 — Marquis Who's Who, the world's premier publisher of biographical profiles, is proud to present Jo Ann Roberts with the Albert Nelson Marquis Lifetime Achievement Award. An accomplished listee, Dr. Roberts celebrates many years' experience in her professional network, and has been noted for achievements, leadership qualities, and the credentials and successes she has accrued in her field. As in all Marquis Who's Who biographical volumes, individuals profiled are selected on the basis of current reference value. Factors such as position, noteworthy accomplishments, visibility, and prominence in a field are all taken into account during the selection process. Dr. Roberts is a dedicated voice and presence in the field of education. She has put forth an incredible effort to assist students in their education, create a collaborative effort with the community both inside and outside of the school, and close the achievement gap. Always showing determination, she often entered under-performing schools and created a lasting change. “I tell the staff, 'I can get on my knees right along with you if that's what has to be done.' That's my job,” she says. Dr. Roberts has had an impact on the lives of students both local and worldwide as her programs have been adopted all over the world. Since 2013, Dr. Roberts has been involved in executive support services for the City of Chicago School District #299. In this role, she directed and coordinated 18 principals at the Austin North Lawndale Network in the process of closing and turning around schools. Thousands of students were involved in the transition to “welcoming schools.” Her successful role in this transition period proved her plans to be effective; subsequently, they were presented to the Chicago Board of Education. Additionally, she is the founder of J. Roberts and Associates where she has been the president since 2012. Before holding these roles, Dr. Roberts served as an intervention officer and education manager for turnaround schools in the same district from 1998 to 2012. During her time in this position, she worked with schools that performed poorly on state and national achievement tests to manage their academic and fiscal affairs. Her involvement extended to such roles as the principal at Lindbloom High School and Paul Revere, Donoghue and Paderewski Elementary Schools, as the probation manager at Riis, Fulton, and Kershaw Elementary Schools, and as an intervention officer at Orr, DuSable, Bowen, Collins, and South Shore High Schools. Within two years, the schools were removed from probationary status due to the work of Dr. Roberts. Providing support to staff and intervention teams throughout this process, Dr. Roberts contributed to the hiring additional staff. Other accomplishments in this post include communicating and collaborating with the parents, the community, and various leaders in the school in an effective way. In the two years leading up to this position, she was the superintendent of Hazel Crest School District 152 in Hazel Crest, IL, improving the performance of the schools while working closely with the school board, staff, community leaders, and the Illinois State Board of Education. Through her work, the school district gained long-term financial stability and was acknowledged in the media for its achievements. The district was awarded two grants in those two years, including a $700,000 grant for upgrading the middle school and a $500,000 grant for developing new curriculum focused on raising the academic standard of the school to meet the learning standards of the state. Beginning in 1994, Dr. Roberts excelled for two years as a principal of Charles Wacker Elementary School in the City of Chicago School District #299. She established new programs as well as a connection with the community. She received numerous honors from Chicago Public Schools for her work, not only improving academic achievement, but showing the most improvement in the history of the district. Within the same district, Dr. Roberts worked from 1993 to 1994 as a chief deputy superintendent and second in command. Given that #299 is the third largest school district in the country, she was responsible for a managing a budget of $4 billion. The plans for academic achievement she implemented were later adopted by the Chicago Board of Education and ultimately became the standard for schools throughout the city. In Muskegon Heights, Michigan, Dr. Roberts spent three years as the superintendent of the public schools, beginning in 1990. When she entered this role, the district was acknowledged as one of the most mismanaged schools, both fiscally and instructionally, by the Michigan State Department of Education. At these schools, she developed a Middle School Math and Science Academy community-based committee and they were the only district from the state of Michigan to be chosen to be a state demonstration site for the Head-Start Transitional Program. For these accomplishments, the school was acknowledged by President George H. W. Bush as a Goals 2000 school district. Dr. Roberts ultimately left this position after discovering corruption within the system. From 1988 to 1990, Dr. Roberts served as a director of special services and assistant to the superintendent of the Rock Island-Milan School District 41. In this role, her focus was on special needs populations of minorities, physically-challenged students and at-risk students. She solved problems alongside the Office of Civil Rights, began the Special Olympics at the school with the help of the Kennedy Foundation, acquired funding for the Minority Teacher Incentive Program, and began Boy Scout and Girl Scout programs for special needs students. In the decade before accepting that position, Dr. Roberts served as the director of the speech and language pathology department in the special needs unit, where she managed initiatives at 75 high schools and 436 elementary schools. As the director, she founded a speech and language assistant paraprofessional program with internal evaluation. The Council of Administrators in Special Education selected this program as a national exemplary program, which is now implemented nationwide. Dr. Roberts served as a member of the Illinois Office of Education Task Force and analyzed different speech and language offerings. She also served as a counselor for both graduate and undergraduate students, helping them with their theses and dissertations. Her first professional role was as a speech and language pathologist in City of Chicago School District #299 from 1971 to 1978 where she implemented a high-risk speech and language screening program for kindergarten students. Aside from her primary endeavors, she is a consultant in the field and was an honorary guest lecturer at Governors State University at University Park, IL from 1983 to 1986. Before entering the education field, Dr. Roberts pursued academics at Wayne State University in Detroit, MI, from which she earned a Bachelor of Science in speech pathology in 1970 and a Master of Science in speech pathology in 1971. She graduated with honors on both occasions and was a member of the Honor Society of Outstanding Senior Women, and the Speech and Hearing Honorary. Additionally, she completed a graduate fellowship in speech pathology and was a research assistant in the department of communicative disorders. Dr. Roberts continued her studies at Northwestern University in Evanston, IL where she received a Doctor of Philosophy in educational administration in 1977. There, she had a concentration in management design and wrote a dissertation titled “A Management by Objective System at the Community College Level.” She completed postdoctoral coursework at Harvard University in 1991, the University of Southern California in 1992, and Motorola University in 1997. Beyond all of the degrees she has earned, Dr. Roberts has received a State of Illinois Teaching Certificate, the General Administrator Certificate, an Endorsement for Director of Special Education, and an Endorsement for General Superintendent of Schools. 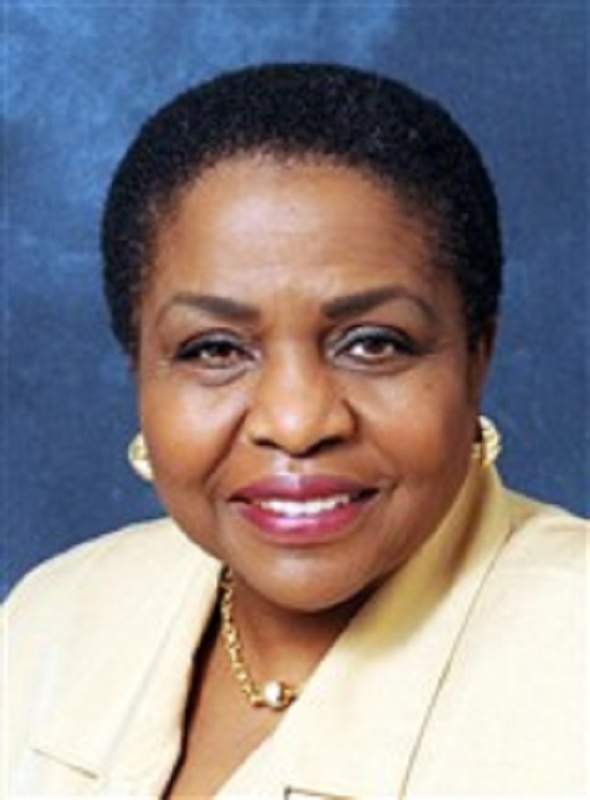 In addition to her work in schools, Dr. Roberts has written numerous publications, including “An Overview of the Chicago Board of Education Title I Program for Speech and Language,” which was published in the National Black Association for Speech, Language, and Hearing Journal in 1980. Other publications to her credit include “Speech Correction for the Educable Mentally Handicapped Child” which was published by the department of speech correction for the Chicago Board of Education in 1974 and “Learning to Talk” which was published in The Learning Company in 1974. In 1973, she wrote “Speech and Language for the Learning Disabilities Child” in the department of learning abilities for the Chicago Board of Education. Dr. Roberts also authored “Legitimacy of the Black Language,” which was published in Chicago's Principal's Journal. An active member of the community, Dr. Roberts has been involved as a trustee of the Muskegon County Library Board in 1990, on the Mercy Hospital Board in Muskegon in 1990, on the St. Mark's School Board of Directors in Southborough, MA in 1989, on the United Way Board in Muskegon in 1990, and on the Michigan State Board of Education Systematic Initiative in Math and Science in 1991. Moreover, she was on the Governor John Engler Michigan 2000 Task Force in 1991 and the Chapter II Advisory Commission in 1991. Dr. Roberts also dedicates time to memberships in the American Association of School Administrators, the National Alliance of Black School Educators, the Michigan Association of School Administrators, the Association of Supervision and Curriculum Development, and Phi Delta Kappa. For the profound influence she has had in the field, Dr. Roberts has been the recipient of the Leadership Award from the Boy Scouts of America in 1990, and was recognized as a finalist for Outstanding Young Working Women in Glamour Magazine in 1984 and Outstanding Educator from Blacks in Government in 1990. Her programs have been recognized worldwide and she was featured in The New York Times on November 20, 2010 in an article titled “A Dilemma for Schools Seeking to Reform.” She has previously been featured in Who's Who in Education, Who's Who in the World, Who's Who in American Women, Who's Who in the Midwest, and International Who's Who in Community Services. The following was issued to Dr. Roberts by the Illinois General Assembly: http://www.ilga.gov/legislation/fulltext.asp?DocName=&SessionId=84&GA … s=&Session.